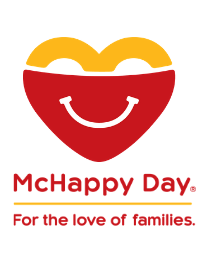 The John McGivney Children's Centre (JMCC) has been chosen as the charity partner for McHappy Day in Windsor-Essex on Wednesday, May 8, 2019! McHappy Day is an exciting part of McDonald's efforts to raise funds in support of children and families in need. This year, on May 8, one dollar from the sale of every Big Mac, Happy Meal and hot McCafe beverage will support the Ronald McDonald House of Windsor, JMCC and Big Brothers Big Sisters. This provides everyone with a great excuse to skip the cooking and the clean up on May 8! Instead, bring your friends and family to your local McDonald's to support children and families in our community!